What could be more romantic than an intimate indoor picnic surrounded by our wild and fresh blooms, with heavenly woody scents filling the air, and enjoying gourmet treats with your loved one? Surprise you lover with a romantic indoor picnic, a contemporary twist on the conventional dinner date. Forgo restaurants and bars for this intimate and creative date idea. The warm and rich colour palette of our Gypsy Heart arrangement will help to set the mood for the night ahead. 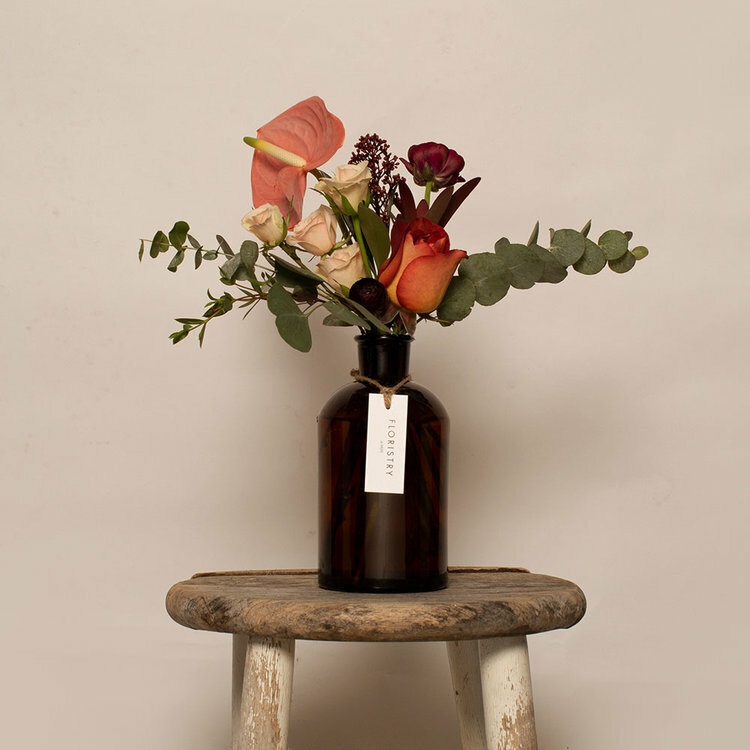 Use various size flower jars to create depth and texture, the dark hue of the amber apothecary jar perfectly contrasts the tones of flora and fauna. Keep the overall vibe relaxed and cozy for a fuss-free, yet fun date. 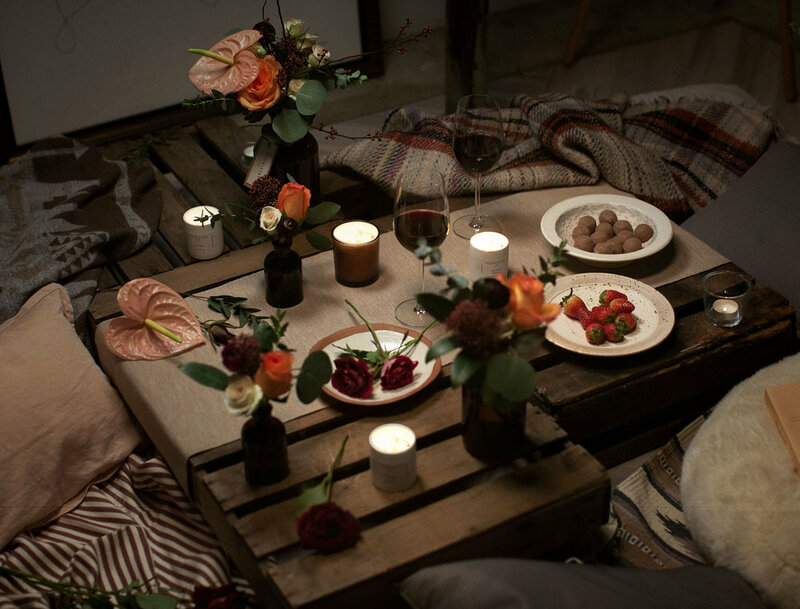 The recipe for the perfect indoor picnic is setting the scene, add lots of blankets, throws and cushions around a table setting to create an inviting atmosphere, just be sure to continue with the same colour palette of the flowers to ensure everything ties together. Once you’ve set the right ambience it’s time to consider what you’re going to serve. Select your lovers favourite food and wine for a thoughtful and personal touch, finger food such as cold cuts, a cheese board or mezze platter will work well. Another bonus is they’re easy to prepare and don’t require too much cooking, you don’t want to be spending hours slaving over a hot stove whilst your date is left to amuse themselves. The last things to consider are sound and smell, this is about invigorating all the senses after all. Soft lighting, particularly candles will help to set an intimate atmosphere, make sure to include some scented candles too. 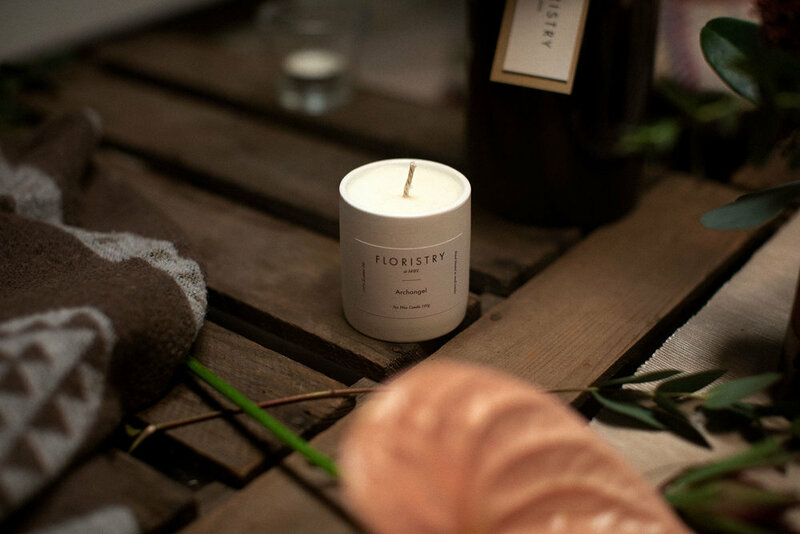 Our Archangel sox wax candle is a fresh and woody scent reminiscent of woodland walks that will help bring the outdoors in. Scent is the most sensitive sense, it can trigger certain emotions and create instant connections. Choose your lovers favourite music, then all that’s left to do is enjoy each other's company. As remember the best dates are about enjoying the moment with those you hold dear to your heart.